Nasir , N. S., Rosebery , A. S., Warren, B., & Lee, C. D . (2006). Learning as a cultural process: Achieving equity through diversity. In R. K. Sawyer (Ed. ), The Cambridge handbook of the learning sciences (pp. 489–504). New York, NY: Cambridge University Press. The authors of the chapter underscore the importance of understanding learning both in and out of school, in relationship to everyday activities, school, and community activities. They show how learning happens both in and out of school, examining how young people make sense of a variety of activities as they move from home to school, sports, church, community, and so on. Nasir and colleagues suggest that to promote more equitable learning opportunities, researchers, teachers, and other educational designers must look beyond the typical connections made in school curricula to identify important continuities across students’ lives. For example, while engaged in sports and other informal activities young people have many opportunities and needs to think mathematically. The authors describe how educational programs can successfully connect mathematical thinking across settings in ways that position students as knowledgeable and capable. Robust learning environments support equity, in part, by acknowledging and building on diverse student experiences. For example, students gain expertise by calculating percentages both in math class and on the basketball court as they compute shooting percentages. Other studies summarized in this article explore the expertise gained both in engaging with music with peers outside of class and in comparing music to literature in the classroom; mathematical practices used while selling candy; strategy, logic, and nuanced activities associated with dominoes tournaments; sense-making in science classrooms related to cultural practices in other settings; and identity work during track and field activities. Nasir and colleagues suggest that the work of educators requires leveraging young people's growing expertise across settings. One challenge is to figure out how to encourage people in authority in learning environments to “see the STEM” in what students are doing in different settings. The authors provide guidance on how to link practices across settings, thus allowing students to see themselves in the process of learning in the classroom. Validating learning that happens in any setting and connecting these insights to practices valued in school. 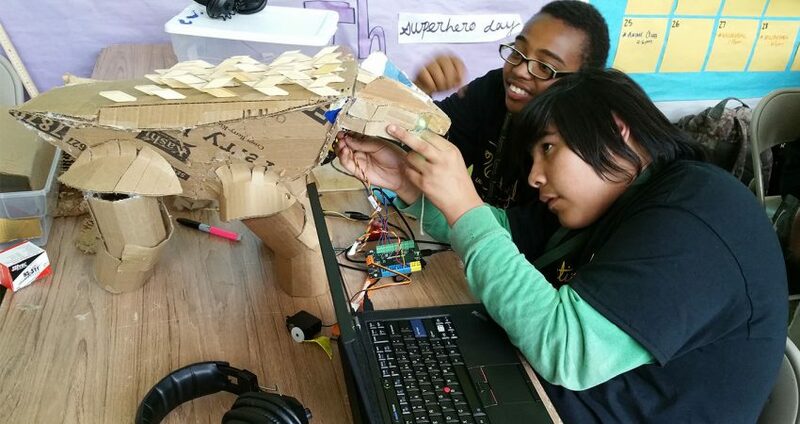 For example, students who learn about circuitry through tinkering can be helped to connect these insights to academic disciplines including physics and engineering. Engaging youth in identifying connections from the everyday to the academic. For example, curricula should be designed to allow students to relate parental expertise in, for example, tailoring, to disciplinary practices, such as the geometry taught in math class. Educators and administrators need to structure opportunities for youth and adults to reflect on the relationships between everyday knowledge and academic knowledge. Taking this perspective broadens what counts as learning and deepens academic learning. The authors sum up their argument by suggesting that, “moving towards equity will occur as we create learning environments that connect in deep ways to the life experiences of all students” (p. 499).